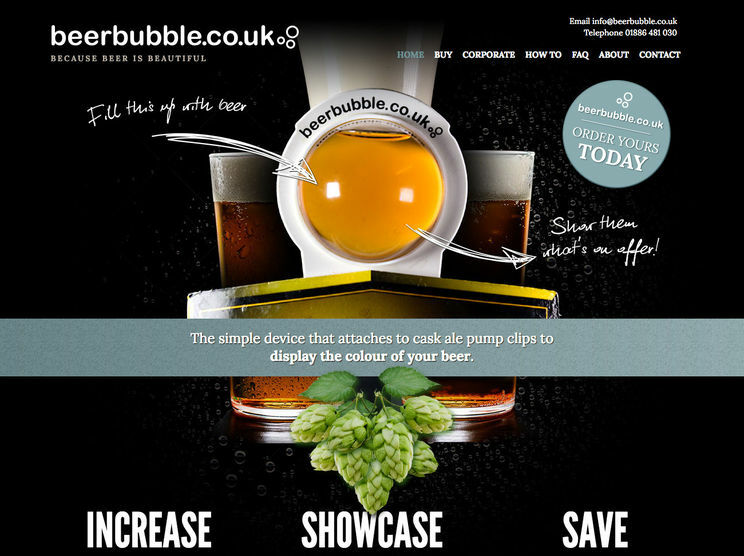 Beer Bubble is a simple solution to help beer drinkers decide which pint to order at the bar. 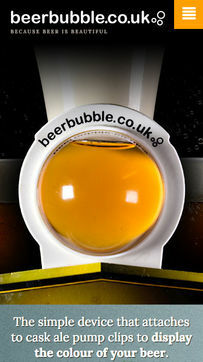 A "bubble" of beer is attached to a hand pull to display the colour of the beer. It helps publicans reduce the number of free samples they provide and opens up sales to beers that customers may not necessarily choose. This is a simple and striking website designed and produced by Hughes Media. It offers a basic e-commerce system that allows beer bubbles to be bought online using Paypal.